The San Diego Association of Governments is in flux. It’s got a new voting structure, it’s searching for a new executive director and at the end of the year, it’ll need a new board chair. That board chair search is beginning to come into focus. SANDAG’s board is composed of elected officials from around the county. The chair runs SANDAG board meetings and oversees the work of the board and its various committees. The vice chair typically ascends to chair. Right now, Poway Mayor Steve Vaus is vice chair. I asked if he was considering throwing his cowboy hat in the ring. 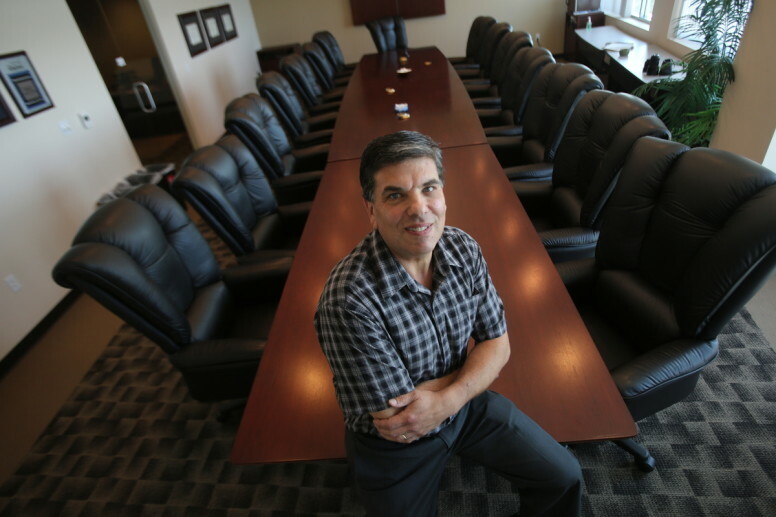 Escondido Mayor Sam Abed, an active SANDAG board member, said he was supporting Vaus’ bid. But SANDAG’s new voting structure, which allows a handful of cities that collectively represent over half of the county’s population to overrule the rest of the board, created the possibility of disrupting the orderly transition of vice chair to chair. Specifically, it makes it possible for a Democrat to take over the board – if San Diego Mayor Kevin Faulconer was willing to use his disproportionate voting power to make it happen. Two of the most logical Democratic options for such a move – Chula Vista Mayor Mary Salas and Imperial Beach Mayor Serge Dedina – both said they were not interested in the job. A third Democratic mayor, though, said she’s interested in SANDAG leadership. Encinitas Mayor Catherine Blakespear said she’s pursuing the vice chair position, after Vaus urged her to do so. “The Poway mayor and I have a positive collaborative working relationship on SANDAG and I look forward to being considered by the whole board to serve with him,” she said. SANDAG’s board interviewed finalists for its open executive director position a couple weeks ago. The board’s likely to announce a new hire soon, possibly as early as this week. A previous selection was vetoed in closed session by San Diego Mayor Kevin Faulconer and other officials earlier this year, but the second search appears to have gone more smoothly. Last week, two board members of the San Diego County Taxpayers Association resigned after disagreements related to the organization’s ballot endorsements. They were upset the group’s executive committee, not the full board, made the endorsement calls. 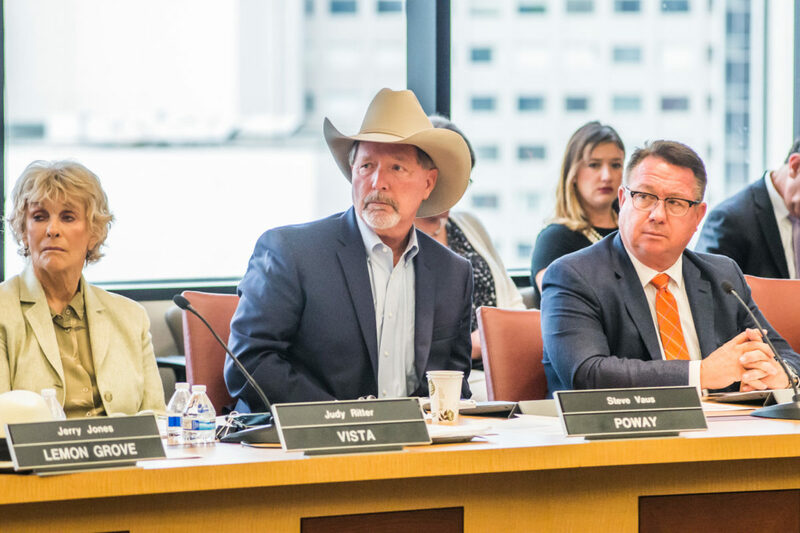 “SDCTA circumvented its own rules and rushed to take a position on multiple ballot measures,” Josh Gaffen, of the construction company Gafcon, alleged. Haney Hong, SDCTA’s chief executive, provided the group’s bylaws showing the executive committee can make endorsements when the board is pressed for time. But that language was in the group’s 2013 bylaws. When it amended its bylaws last year, it wasn’t included. Hong and SDCTA chair Greg Stein said that was inadvertent. They aren’t going to reconsider their ballot positions. Instead, the group will update the bylaws to reflect what they say was always intended. Hong said making changes to the executive committee’s authority was never discussed during the amendment process. The error crept in because staff used an old version of the bylaws that didn’t include the relevant paragraph when they made the latest revisions. Hong said the decisions made by the executive committee last month to support or oppose ballot measures were needed in short order because some agencies, including San Diego Unified, “didn’t submit materials in timely manner,” so, “We couldn’t finish our analysis” sooner. Executive committee member Andy Berg, head of the local chapter of the National Electrical Contractors Association who recently resigned along with Gaffen, didn’t vote to support or oppose San Diego Unified’s new $3.5 billion school construction bond measure because he is heading the bond campaign to get it passed, Hong said. Stein, the board chairman, sees the recent board resignations as “really a campaign effort to discredit the organization because they didn’t like outcome they received,” he said, noting Berg’s bond campaign role and Gafcon’s work managing the district’s existing bond program, where Gaffen works as vice president. Stein claimed both Berg and Gaffen have already resigned from the SDCTA – back in 2012, when the organization was again opposing a school bond measure, Proposition Z. “It’s unfortunately a pattern with these two particular people and I am disappointed, especially because the organization is doing so much good work,” Stein said. Berg and Gaffen rejected the idea that this has happened before. Berg told Voice of San Diego neither this year’s departure nor his departure in 2012 had anything to do with the association’s opposition to San Diego Unified’s school bond measures. Berg also shared emails from early 2012 indicating the electrical contractor’s association chose not to renew its membership with the group in February 2012, months before the decision to oppose Prop. Z was made. 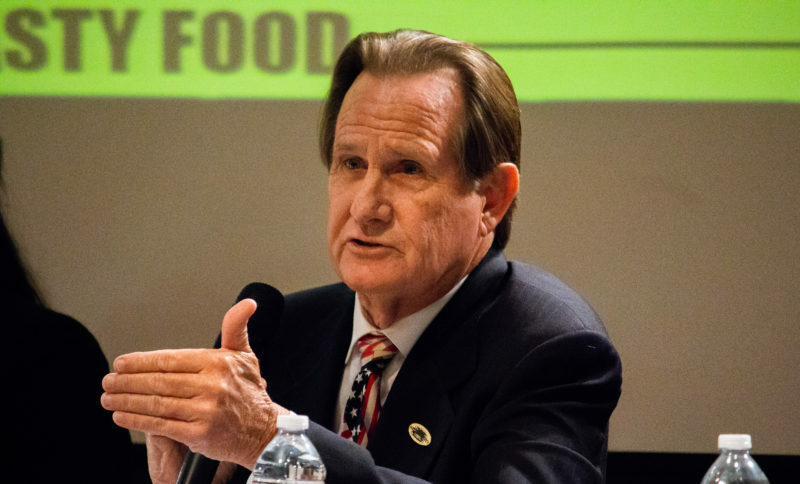 Gaffen said he wasn’t on the Taxpayer Association board in 2012, and his recent departure had nothing to do with the group’s opposition to San Diego Unified’s new bond proposal. National City Mayor Ron Morrison hasn’t tried to hide his disdain for protestors who have filled Council chambers since a young black man named Earl McNeil suffered injuries in police custody in May that eventually killed him. The protesters, Morrison said, aren’t from National City in the first place, and they’re trying to turn a commission on community and police relations into a “grievance group.” He said he wished they understood how far National City’s Police Department has come since its cowboy days of the late 1980s. Given time to reflect on his comments, Morrison is standing firm. At a debate this week for all City Council candidates – Morrison is termed out as mayor, but is eligible to run for Council – he stood by his comments. Scott Lewis moderated the debate. Lewis: So just to clarify, you don’t think (the protesters) have a legitimate grievance? Morrison: I don’t think they have a legitimate grievance. I think they have a grievance with the system of getting out information. But a lot of the leaders are using Earl McNeil, using his family and using the situation for their own cause. I think that is a travesty just as much as the death of any individual is.